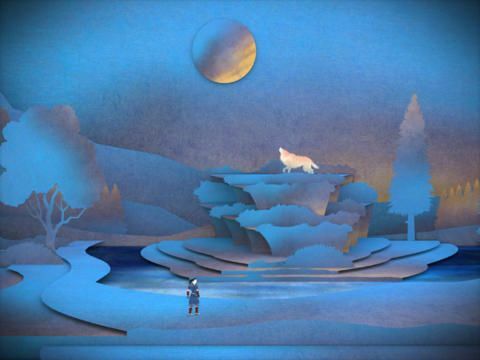 Leo’s Fortune is one of the most beautiful iOS games I’ve seen in a while. 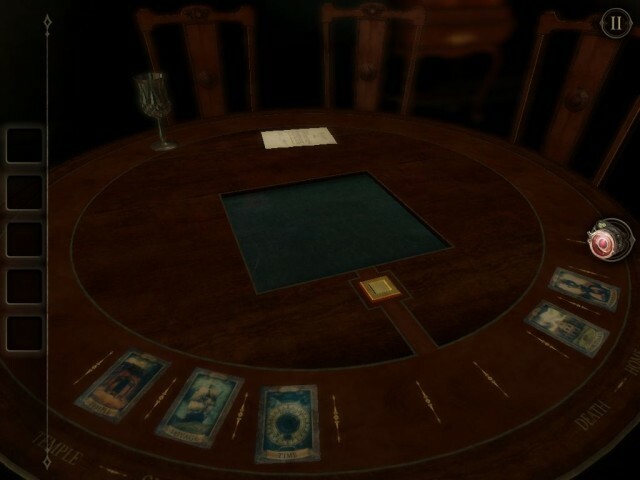 But beyond its good looks, it also has an intriguing story, fun puzzles, and a ton of personality. 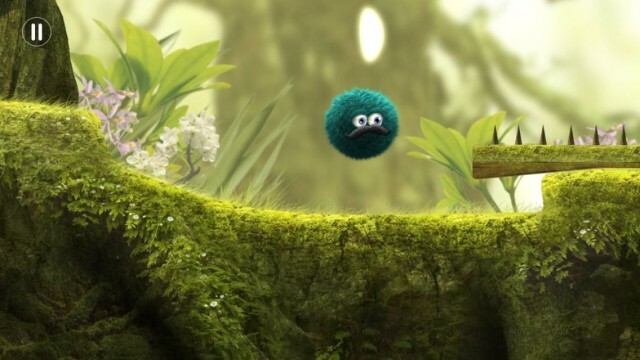 And I could stop right there, but then you wouldn’t hear about the cool physics and simple controls and the fact that the hero is a Star Trek Tribble with eyes like a Muppet and an undeniably amazing moustache. This game basically has everything. I don’t own a whole lot of Lego at the moment, and that’s intentional because if I did, I’d just sit around building things all day, and none of these reviews would happen. Building something from scratch is satisfying, and if it has a function to perform and succeeds, it’s even better. Loco Motors plays on this by letting you build your own vehicle and then use it to complete tasks on a test ramp. It’s essentially two puzzle games in one: one in which you build a car that will run, and another where you let it loose on the track to complete specific tracks. And luckily, it has an interface that lets you do these things both easily and quickly. We’ve been excited about Tengami ever since we saw it at a gaming conference a couple of years back. The long development time has paid off for developer Nyamyam, as Tengami is by far one of the best games of its type we’ve seen on any platform. It came out for iOS just this week, and we’ve lost ourselves (and our sense of time) playing through the lushly illustrated pop-up book. The story is told without dialogue, tasking us with moving from one beautiful environment to the next, solving puzzles along the way to keep the journey going. Here’s a video of some of our play through of the game. When I was a kid at Showbiz Pizza (back in those carefree days before that upstart rat staged his coup), the Dragon’s Lair cabinet always fascinated me. People would step up, watch a cartoon for about three seconds, and then they’d put another quarter in. They’d watch the same cartoon, and then they’d put another quarter in. And so it went until they said some words that my parents didn’t want me using and went off to play Dig Dug. I didn’t understand what Dragon’s Lair was until much later; all I knew was that it looked like a movie and annoyed people. 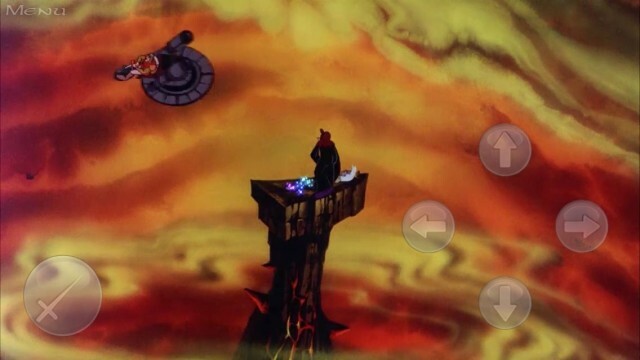 This week, the iOS port of its 1991 sequel, Time Warp, made its way to the App Store, and it’s pretty much here to ruin your day and make you hate your fingers and your slow, stupid brain. So basically, the old-school experience is intact, and I love it. 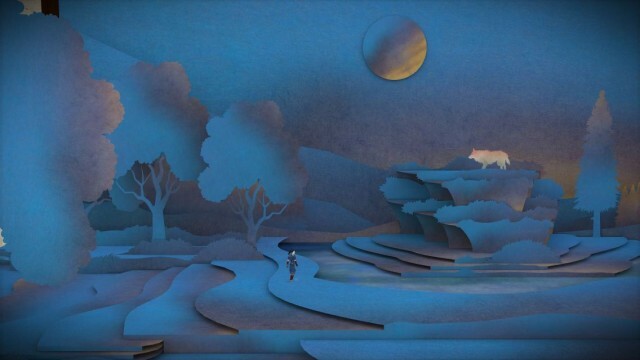 Tengami has gathered a bit of a following during its development due to its beautiful, pop-up-book art style and zen-like demeanor. It has relaxing music, a dialogue-free narrative, and puzzles that are clever and occasionally very tricky. The game is out now as a universal app for iOS devices, and it has a lot of expectations to live up to. Can it live up to the excitement? It absolutely does, delivering an endlessly fascinating experience in one of the most beautiful packages you have ever seen. Well hello, fine sir. Might you have some loot we can stab out of you? What’s that, you say? 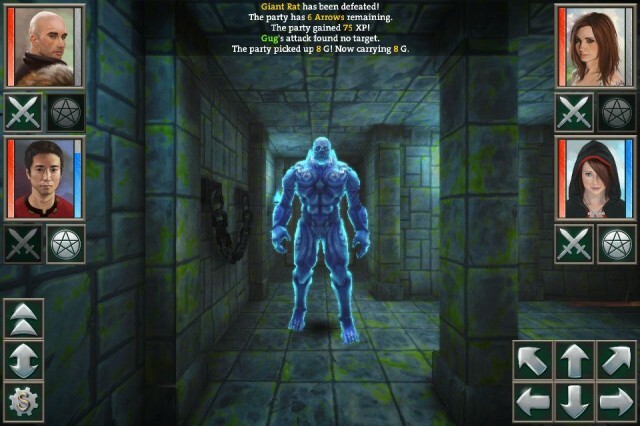 You’ve been longing for a retro, old school, three dimensional dungeon crawler to take with you on your iPhone and iPad? Look no further than Coldfire Keep, a brand new first person dungeon crawler from Steve Jarman and Crescent Moon Games. You’ll have to make your way through this beautifully rendered 3D dungeon, full of monsters, puzzles, hidden secrets and–natch–tons of loot. It should be in the App Store tonight (February 19) by 11 pm Eastern time here in the US, if all goes according to plan, and it’s looking pretty sweet, if the video below is to be trusted. It’s been a little while since I reviewed a tank game, so I picked up Battle Supremacy, a new tread-and-turret action title from the developers of Sky Gamblers out today for iOS devices. 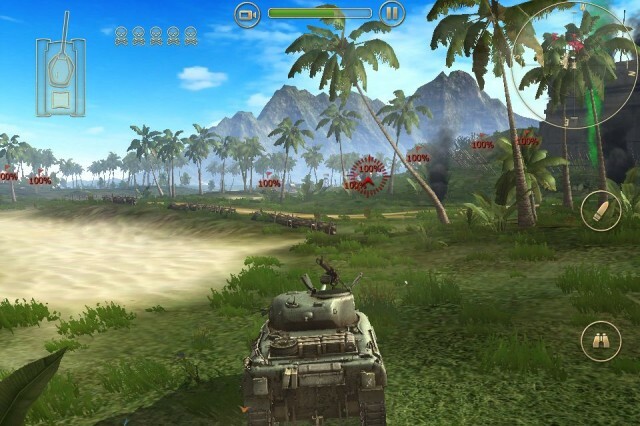 Battle Supremacy takes place during World War II and features authentic vehicles and locations. It’ll have you participating in campaigns in both the European and Pacific Theaters. If you can stop firing long enough to look around, you’ll see birds in the sky and fish in the water. And you can run over absolutely anything that gets in your way. It’s an action-packed, detailed game with incredible graphics. And honestly, I thought it was kind of boring and clunky. 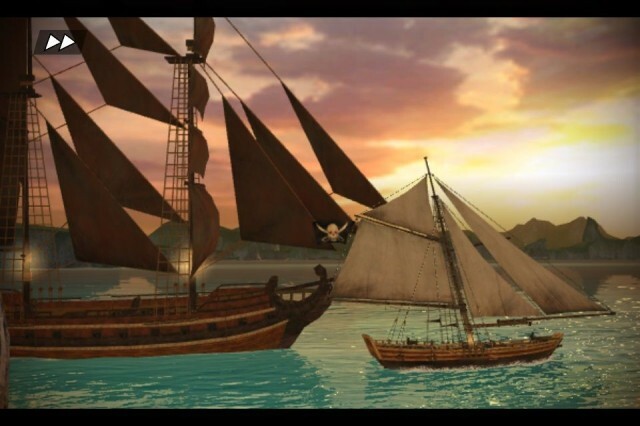 Assassin’s Creed IV launched on consoles this fall and offered all the ship-on-ship action gamers required. Developer Ubisoft, not one to let a good idea go un-reused, has now released Assassin’s Creed Pirates, a sidestory about one man’s rise from prisoner to fearsome buccaneer captain. It ditches the main series’ free-running in favor of a completely seaborne experience. Does Pirates rake in the booty, or does it walk the plank to plunge the briny deep to Davy Jones’ Locker? Could that last sentence have been any more forced? You’ll find the answers to these questions and more after the break. Every week, we highlight some of the most interesting new apps and collect them here for your consideration. This time, our picks include one that’ll help you mix paint, another that will help you keep tabs on your Twitter numbers, and something for the little monsters. If you’re a fan of ancient Rome — and who isn’t? 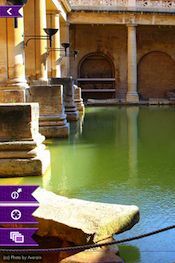 — but can’t justify the expense to actually go and look at its old buildings, you might want to have a look at Roman Ruins HD. It’s a new iPad app that collects a wealth of high-definition pictures, virtual tours, and/or 3D overhead shots of over 350 sites. You can read all about the places, and some locations also use the app’s cool Google Street View integration to let you pretend you’re walking through them. But you’ll have to provide your own bored, screaming children, tired feet and sunburn for the full experience. 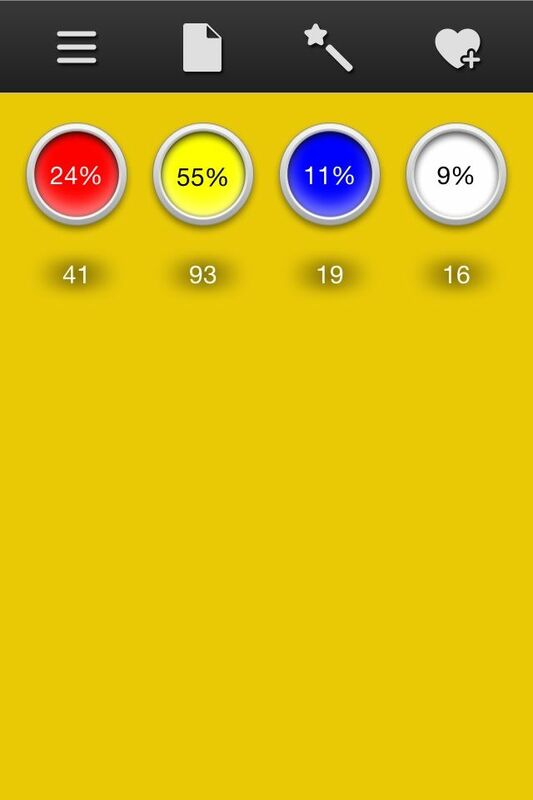 True Color is one of those apps that definitely has a practical application but is also just fun to mess around with. Its purpose is to create “formulas” for different hues so that artists can properly mix paints to match and you can easily take samples from your photos. You can also just mess around with the four component colors — red, yellow, blue, and white — to get the tone right before you go wasting all your acrylic on experimenting. But it’s also good for curiosity. The picture over there, for example, is the exact color of Jake from Adventure Time. Did you know he was 24 percent red? Because I didn’t. Alright, maybe it only does that for me, but what Followers on Twitter definitely does is give you a quick look at your follower numbers. In addition to what Twitter will tell you, it also lets you know when people take you off of their feeds, how many users aren’t following you back, and how many you’re snubbing. You can also easily delete multiple tweets at once, and I know a guy who could probably make good use of that feature after some unfortunate late-night drunken tirades. Oh, you don’t know him. He lives in Canada. 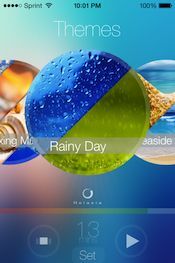 The App Store is full of things that play white noise or some ocean sounds to punch your ticket for the Sleepy Train to Snoozeville, but I haven’t seen one as good-looking and versatile as Relaxia. It has six noise “themes” with about eight sounds in each; you can play multiple files at once and adjust their volumes to make your own custom mix of sleep fuel, and you can set a timer so it’s not still playing in the morning. Because it would really be awful if you woke up, thought it was raining and then it wasn’t. Are you a creative, psychic Lady Gaga fan with an interest in intergalactic travel? If not, does any of that at least sound like something you’d like to see? Hey, Artpop. It’s a slick, shiny app that ties in with Gaga’s latest album, which is also called Artpop. 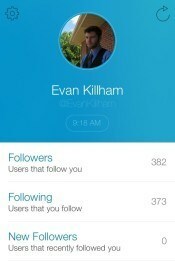 It’s also a social-media platform, a music player, an art creation and sharing app, and a chatroom. You create your “Aura” (read: avatar), and then you can make projects using a combination of preloaded shapes and patterns and your own pictures and share them with all the other little monsters on the app. Plus, it’ll tell you if Lady Gaga actually looks at your creation, so it’s kind of the ultimate super-fan experience.